One weekend Saturday, im with 2 of my running mates went to Jlm Ampang for diner. Initially not sure what food that we going to have, and finally we decided to had it Italian Food. We ordered Pizza as out first meal. very nice, as it's thin and totally different from Pizza Hut and Domino's pizza. it followed with mushroom. taste good too. 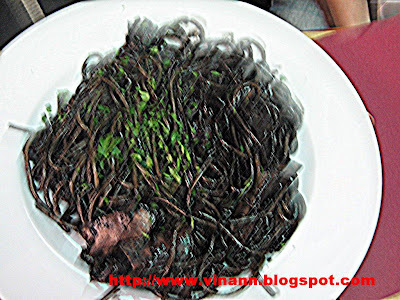 Lastly, it's squid ink source angel hair spegeti!! im just too happy when i saw this in the menu! 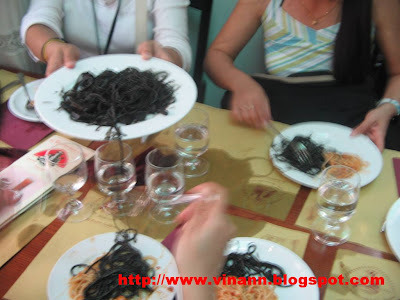 Few years back, we all tried the truly squid ink source spegeti in Venice, Italy. After that, im always miss the food and it's taste. Finally i can taste it in Malaysia.